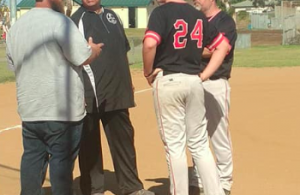 EL CAJON (9-14-2018) – As the school day began in the Granite Hills High School gymnasium, sounds and signs posted throughout the campus was a precursor to the festivities and triumph that would soon be at hand. It has been a tradition for a few years now, local San Diego News station KUSI, was soon arrive and be led by the talent anchor of the show, ALLIE WAGNER, who leads her crew into the Eagle gymnasium with loud roars of students awaiting the famed PPR Alarm Clock Pep Rally show. Cheerleaders announcing their name and their role. Three days of practice including one day of tumbling is what one cheerleader stated. The backflips and cheering routine was a foreshadowing what was to come, as the 3-0 varsity Eagles football team ran through a makeshift tunnel as the excitement grew for players to speak how their opponent will accept defeat. This is the day of the Homecoming game, a fired up Varsity squad, and soon a crowned king and queen, later in the evening it would be a packed house as the Eagle faithful remained on their feet. 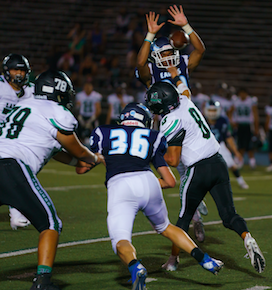 The Eagles kicked off to the visiting Hilltop Lancers (1-4), a few plays later, junior JUNI HARRIS, a defensive back, read the Lancer quarterback JOEY CASTILLO’s eyes, stepped in front of his intended target and took it to the house for the 6-0 lead, and the first score of the game. “My friend, AUSTIN HOLT, on our freshman team said to me at the Pep Rally that I was going to get a pick six,” Harris said. The pick six and the successful extra point made it 7-0 Eagles early in the first quarter, and Granite got the start it needed to remain unbeaten. 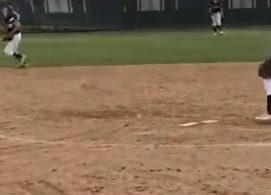 “The wins just seal the deal,” Harris said. “Our team’s humbleness and composure will really start to be tested now. Granite was not finished picking off the Lancer QB, as GIDEON ALABA picked up a theft as the Lancers had just taken possession of the ball. Granite the missed extra point. The second quarter saw a lot of three-and-outs courtesy of the Eagle defense. 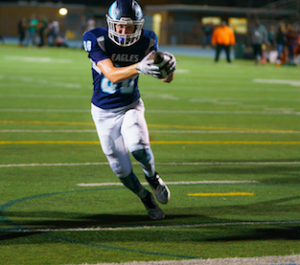 Two-way player DYLAN RUTTER usually plays strong Safety and wide receiver, but was asked to come in as a fullback and scored on a 1-yard push up the middle, and in for the score. The extra point up was and good, for a 20-0 Eagles’ lead at intermission. “We didn’t have Dylan in so much for speed, it was that he has the strength to break through tackles, which he did,” said Ostreng. 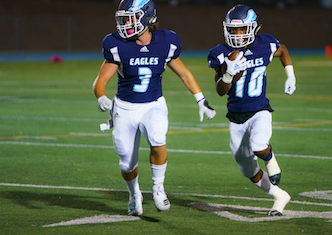 Granite Hills would score a few more in the second half, Ostreng added another six with his legs, and a 60-yard bomb to Johnson to end the third quarter, as the extra point was good, making the score 40-0, Eagles. 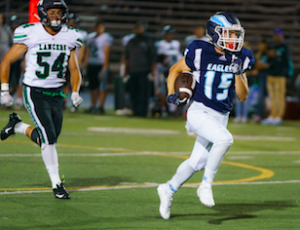 However, as well as the Eagle defense played, the skunk came out of the box with a 17-yard touchdown pass from JAVIN DEANDA to LAI ZUMSTEIN, although the extra point misses, leaving the score at 40-6, Granite. 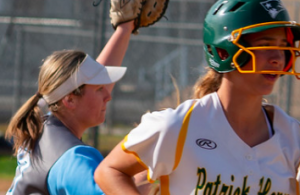 Hilltop had a long run towards the end of the fourth quarter, but the Eagles just overmatched the Lancers in every phase of the game. The Eagles gift homecoming with a 40-6 final. 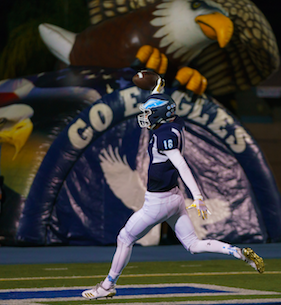 Granite Hills has a final non-league battle versus Southwest (El Centro) (2-2) at Valley Stadium next Friday as the Eagles attempt to continue their undefeated season at 7 p.m.